Disney’s live-action adaptation of Beauty and the Beast could have been an unmitigated disaster, but staying close to the original classic animated film and using the modern CGI technology, the Mouse House found another box office winner. 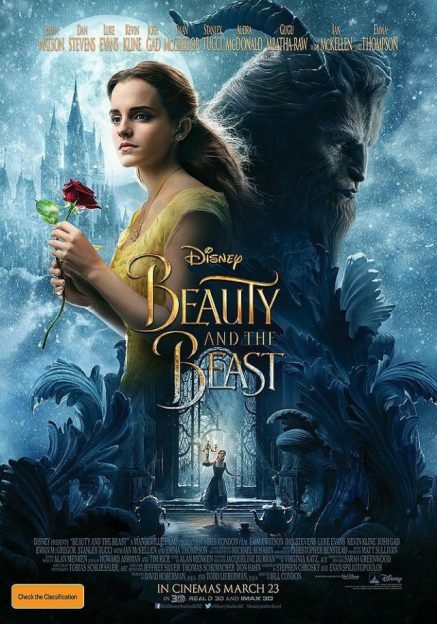 With Emma Watson and Dan Stevens as the titular Beauty and Beast, aka. Belle and Adam, the film moves quickly in between songs, adding a few new ones, as the intellectual seeks to find some gravitas in a future spouse and enjoys reading instead of home making. Her strongest suitor, Guston, played by Luke Evans, becomes obsessed and refuses to let her go. Belle’s journey takes us to the mystical castle under a mysterious curse. This Beast and household of enchanted items delight the young maiden and pull her deeper and deeper into a soul searching fairy tale. The “Tale as old as time” is known to most in the audience, you and old alike, so the studio leans on the visuals, fun adaptations and a few creative liberties. The transformation of LaFou (Josh Gad) from a silly oaf to a trouble homosexual remains a deeply rooted secret and nothing overt. The hyperbolic discussions and reactions this “theory” of creation alienated some from theaters, but should prove to be reminder to “see it for yourself” before passing judgment. Director Bill Condon can breathe a sigh of relief as the film is a certain success, but his ridiculous “character motivation” to include a gay character was unnecessary propaganda that could have heard the film. 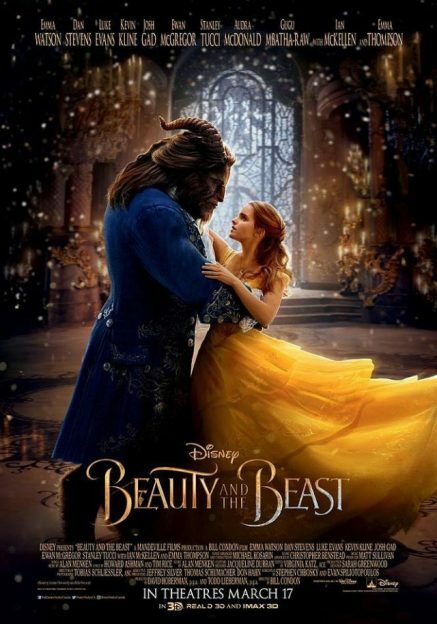 While the film could have disappointed, it is an entertaining surprise, much like Cinderella was a couple of years ago, and audiences will love it. This enjoyful, full of bright colors and booming songs. Personally I was disappointed with the supporting cast, particularly Mrs. Potts, but Condon is to blame, not the cast. Ewan McGregor is a suave candelabra and Ian McKellen’s Cogsworth is believable as a tense foil to the free spirited Lumiere. The action sequence when the wolves attack needs some work before going to Blu-ray and the end song by Stevens is horribly edited and drawn out too long. No matter the concerns and criticisms, the film is charming and, pardon the pun, enchanting.